The most illuminating talk for me was the four short lectures on what is a great writer. Ideas revolved around audiences, institutions, politics and – a lovely question – are you a great reader? It’s a question I’ve avoided for many years because I knew the answer. “I took a course in speed-reading, learning to read straight down the middle of the page, and was able to read War and Peace in twenty minutes. Woody Allen’s quote sadly sums up my early approach to reading as an Eng. Lit. undergraduate. It was all because of the canon. I was a woman in a hurry. I really felt I had to hack through that mighty thicket fast before I could consider myself a reader and so I consumed the great writers at an intemperate pace, charging through them with a tick-box mentality, leaving myself with a blurred, distant impression of frocks, armies and expiring and crazy poets. So the opportunity of a second chance to look at some great texts 30 years later, via the ‘Great Writers’ lectures, was an unexpected gift. These are superb resources for readers, teachers, A Level students and anyone else who enjoys listening to invigorating first-class lectures. 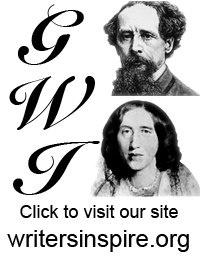 It’s a wonderfully accessible way to brush up your ideas about Shakespeare, DH Lawrence, George Eliot and many other great writers. The first time I read these writers it was purely utilitarian. I thought I was a good reader but I was only doing it to get a degree as fast as possible. These podcasts sent me back to the texts for sheer pleasure. There are so many, it’s difficult to say which ones I like best. Emma Smith’s glorious romps through Shakespeare are wonderful either as a starter or a plenary for a class. She approaches each text in a different way to show how Shakespeare can be read and discussed variously. I loved going to watch Henry V at the Lowry and then coming home knowing I would be able to listen to Emma’s lecture on the play. I also relished the Anglo-Saxon and Medieval podcasts by Stuart Lee, whose accessible presentation is full of energy, and would even appeal to GCSE pupils. There’s lots more on the site, from a variety of periods and disciplines. After her inspiring lecture, I’m particularly hoping for a podcast on post-colonial literature by Dr Ankhi Mukherjee. But this time I’m going to be reading – and listening – much more slowly and carefully. Karen Johnson is a freelance creator of educational resources. She attended the Great Writers Inspire ‘Engage’ workshop in Oxford 19-20 April 2012.